The Gem Cyclopedia of Universal Knowledge is a virtual plethora of information about living as a proper, well educated individual in 1896. 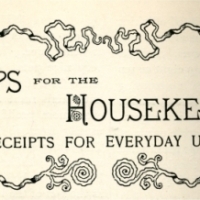 The following receipts are taken from it's ample chapter on homemaking. Take 1 beef heart, cut off most of the fat and wash it thoroughly. Then put the heart into a kettle with 1 1/2 gallons of cold water and boil until tender. Just before it is quite done add salt to taste. 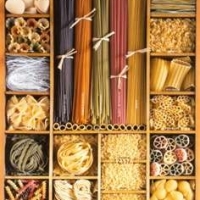 Have ready a variety of finely chopped vegetables - about 1 quart - to which may be added a small quantity of either macaroni, rice, or vermicelli. Boil all together for 1 hour. Serve hot with cubes of golden brown toast, and you will enjoy a delicious soup. Better satisfaction will be given if the heart is removed from the broth before adding the vegetables. It may then be stuffed and baked, sliced for sandwiches or made into a fine hash. P.S. My Mother was born in 1914 and her siblings were born in the 1800's in Ireland. Times were tight and whatever they could afford was the meal of the day. Often farmers would give over the animal organs without charge. Well my thought is this. There is so much starvation in the world and if we would try to use as much of the animal as we could perhaps that would be alleviated. People eat chicken hearts, gizzards and intestines..to each his own.and thanks for your comment. I'm sure I am in the minority, but I still eat beef heart. When I was at home we butchered our own steer and my husband and I still do. I think it is really good, although the only way I have had it is fried. I'm sure most people would think it it gross now days.